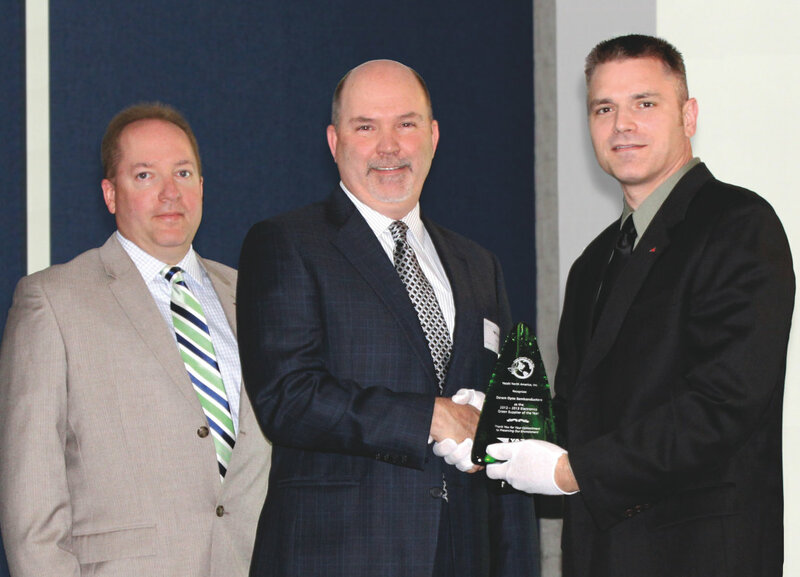 Top automotive supplier Yazaki North America named Osram Opto Semiconductors as a Green Supplier of the Year at its annual awards ceremony. Yazaki also recognized Osram Opto Semiconductors as the Best in Class Green supplier for 2012-2013 honoring them with both awards of excellence. Osram was chosen from Yazaki’s top 103 suppliers in North and Central America. Osram was chosen for the award in recognition of its significant contributions to the preservation of the environment through its manufacturing, production, and delivery processes and the fact that it has exceeded other companies in its effort to reduce impact on the environment. Held on June 5, 2013, to honor World Environment Day, the Yazaki Green Supplier of the Year program was established in 2007 as the benchmark for all Yazaki companies and affiliates throughout North and Central America. OSRAM, with its headquarters in Munich, is one of the two leading lighting manufacturers in the world. Its subsidiary, OSRAM Opto Semiconductors GmbH in Regensburg (Germany), offers its customers solutions based on semiconductor technology for lighting, sensor and visualization applications. Osram Opto Semiconductors has production sites in Regensburg (Germany) and Penang (Malaysia). Its headquarters for North America is in Sunnyvale (USA). Its headquarters for the Asia region is in Hong Kong. Osram Opto Semiconductors also has sales offices throughout the world. For more information go to www.osram.com. Yazaki Corporation is a global leader in the research, development and delivery of vehicle power and data solutions for vehicle applications. Yazaki produces electrical distribution systems, vehicle information products, solid-state power centers, connection systems, and electronics. Worldwide, the company employs more than 220,000 people in 41 countries. Yazaki has been committed to the preservation of the environment for more than 70 years. The company continues this commitment today through the development of advanced electric components for hybrid electric vehicles, the promotion of recycling and the efficient use of resources. For more information about Yazaki North America, Inc. and its vision for a greener tomorrow, log onto www.yazaki-na.com. © 2019, OSRAM Opto Semiconductors GmbH. 版权所有.